The London Guantánamo Campaign (LGC) is organising a demonstration on April 1 in solidarity with Bradley Manning as well as calling for justice for prisoners in Guantámo and other similar jails. 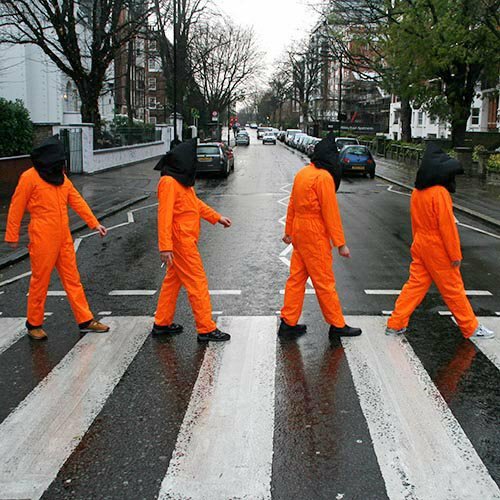 For more details, e-mail: london.gtmo@gmail.com. “As well as continuing to demand the immediate release and return to the UK of Shaker Aamer, and justice for the prisoners still held at Guantánamo, Bagram and similar prisons, we will be holding this month’s demonstration in solidarity with dual US-UK national Private Bradley Manning, a 23-year old intelligence analyst in the US army, accused of leaking confidential data to the Wikileaks website. Mr Manning, who went to school in Wales, was arrested in Iraq last year and currently faces several dozen charges, including ‘assisting the enemy’, which carries the death penalty. The data he is alleged to have leaked, including film, has exposed the US military’s actions in Iraq, Afghanistan, Guantánamo Bay and elsewhere. A British national, the UK government has so far chosen largely to ignore his plight and the abuse he is facing on a daily basis at a US military jail.